The weather can't make up its mind. We'd thought about going to the Arboretum to see Dallas Blooms (don't miss it if you're in this part of the country in spring), but it looks like rain all week. And my friends in the northeast are still getting snow and cold weather. Our weather is changeable, but at least we're able to see those changes (and complain about them). It could be worse. As one of my friends says, each morning that I'm able to get out of bed causes me to give thanks. We look around us and see that so many of our friends have much more serious problems than we have. I work hard not to be envious of those who appear to "have it made," and remember that when we look inside their lives we might be surprised at the problems they face. I've been amazed at times when I see such problems in those whose lives I thought was perfect. That's called "real life," and I'm glad to participate. As spring rolls on and we approach Easter, what thoughts do you have about all this? I'd love to hear anything you'd like to share. Oh, and in case you're interested in how my writing is going, I've just been notified that the audio version of my novella, Surgeon's Choice, is now available. 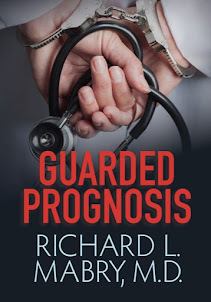 I've completed the very last revisions of my novel, Guarded Prognosis, which I'll release this summer. 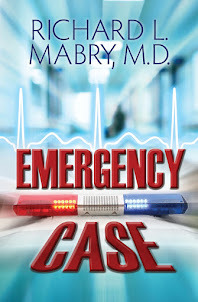 And I'm about half-way through with the third draft of my novella, Emergency Call, which I hope to publish toward the end of the year. As my uncle used to say, "It keeps me off street corners and out of pool halls," so I'll keep writing as long as God allows. 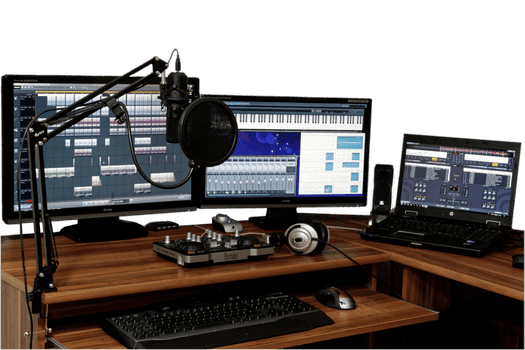 Writing: What About Audio Books? One area of the writing life that I haven't discussed yet is audio books. I'm no expert in this, but what I know I've learned by experience, and I'll be happy to pass it on. My narrator has just finished recording an audio version of my novella, Surgeon's Choice, so it's fresh in my mind. As for the finished product--well, read to the end to see about that. When a book is released by a traditional publisher, the decision to turn out an audio version generally rests with that publishing house. This may vary with the individual contract, but that's how it's been for me. Of the ten novels of mine that were published that way, a few were also released in audio form. My share of the royalties comes to me as part of the royalty package for each book. I didn't choose the narrator, nor did I have anything to do with that process. It was automatic. Not so with indie-publishing. The author holds the copyright on everything that's written, so if he/she is not limited by a contract with a publisher, that person can publish an e-book, a print book, an audio book--any or all of them. I have gone with audio versions of all four novellas I have indie-published. Since ACX pretty much has the market of audio books wrapped up, that's the way I chose to go. If you have an Amazon account, you can sign into ACX.com with that name and password. Then go to the FAQ segment to see how it works for authors--they have a lot of information, and present it better than I can. Does it cost to do this? Your decision. I chose to do a royalty-sharing contract, which meant no money out of my pocket initially. The income from an audio book hasn't been huge, but it's like an annuity. It keeps paying. If you choose to pay your narrator up-front, you get the entire royalty for every audio book sold. The average charges for narrators/producers varies but the range is shown on the ACX site. Another question, by the way, is setting the price of the recording. That's out of your hands, even as an indie author. I'm not sure whether that's good or bad, but at least it's one less decision you have to make. Choice of a narrator is an important matter. You post your book by listing it on audible, add a 15 minute test segment for potential narrators to read, then choose one. Sounds simple, but it took me a bit of time and effort to settle on one. After that, you need to listen to every chapter after it's read--you're the only one who can tell if something is mispronounced, for example. This takes a lot of time, but it's worth it. Of course, during these sessions of listening you find areas you wish you could change--we always do. Hearing the words read aloud is yet another reason to do that with your book before submitting it for printing. At some point in the process, you have to upload a cover for the book. This is different in format from the print and/or e-book cover, but you can change the dimensions and format to meet the requirements of ACX. Your cover artist may be able to do this. After you accept the final audio book, it takes a few days for the technical aspects to be completed. Then it's posted on Audible, Amazon, and iTunes. Now, as for the audio version of my novella, Surgeon's Choice, I've just been notified that it is available on Audible, and can be found on the other sites within a day or two. At the "find a book" tab, enter the title, add my name if you wish, and enjoy. Tweet with a single click. "What's the process for publishing audio books?" The head of the literary agency that represents me commented recently that folks like to look inside "the life of a writer." My initial reaction was, "They'll be disappointed." But the more I thought about it, the more I could see what she meant. So here goes, folks. A look behind the curtain. This is my office, a space so small that even the mice are hunch-backed. But I like it, because with one swivel of my chair I can turn from my computer, where I do my writing, to my desk, which is where I sign checks, consign waste paper to the recycle container beneath the desk, and scramble through the things that cover the surface. Note that I have an external monitor (left of the laptop) and external keyboard. Some people do all their work on laptops, as do I. This is handy when I take a trip (which I'm doing less and less). But I like to have a larger screen and a different keyboard when I work. Thus, the two-screen setup. Above my desk I have one copy of every book I've had published so far--the picture you see isn't current, because that's now eleven (soon to be twelve) novels, four novellas, and two editions of a non-fiction book. To the right, above my computer, I have a poem by BJ Hoff that I like to look at, especially after winning an award (there are now five or six on my wall to the left). It reminds me of why I write. "It matters not if the the world has heard, or approves, or understands. That's why my author's notes in many of my books contain the Latin phrase, "Soli Deo Gloria." To God alone be the glory. Have any questions about this peak into my office? Want to know more or less? Or do you care? Let me know. Friend and fellow author Tosca Lee had information in her latest newsletter that I thought should be passed along to my readers, so with her permission, here it is. In answer to a question on traditional vs. self-publishing, here's her answer. 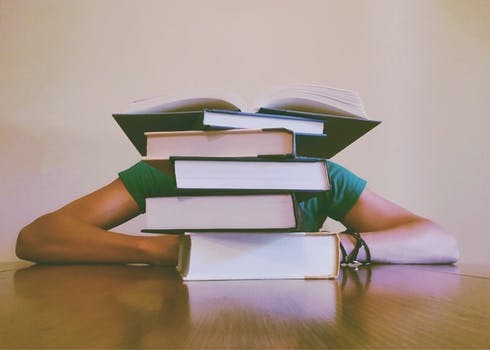 "It really depends on what your goals are, including how quickly you hope to be published, the quantity you hope to sell, and your personality. The traditional route can take quite a bit longer. But a traditional publisher comes with a marketing and sales team. Self published authors have to be very comfortable putting themselves out there to market and sell themselves. (Either way, you’ll need to do this at least to some extent.) And either way you’ll work hard. Genre, too, can inform this decision. 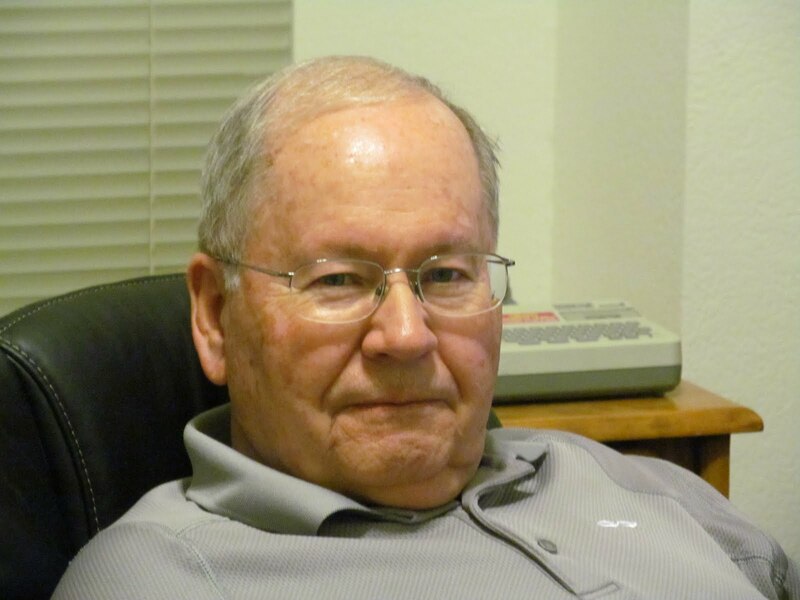 Romance, for instance, works very well for self-published authors." "Micro-publishing (the trendy term for self-publishing) can be a very attractive option. You get to choose your editors, your cover designer, your title and the timing of your release. In other words, you have lots more control. You will also be paying for those services out of pocket. And you can't skimp! What many writers don't realize is that whether you go the traditional or micro-publishing route, YOU HAVE TO (WORK) TO SELL YOUR BOOK! Unless you are in the elite top five percent of bestselling writers, much of the marketing and engagement with readers will be part of your job. This fact catches many--okay, most--writers by surprise. There are companies that can help you with this. Just make sure you get recommendations, read reviews, and find someone who is legit." 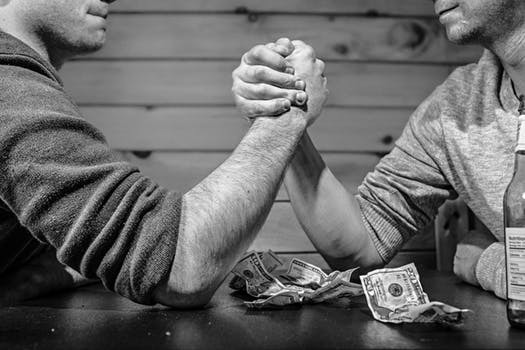 Tweet with a single click: Marketing advantages and disadvantages of traditional writing contracts vs. self-publishing. The calendar says it's just about spring. We've taken the faucet covers off our outside spigots, thinking we're past the threat of a freeze. (Sorry about those of you who live further north. I was told the other day that Minnesota has two seasons--winter and July). Almost every day my wife points out that one flower or another in our beds has bloomed. I nod wisely, just as though I were an agronomist, although I can't really name most of them. 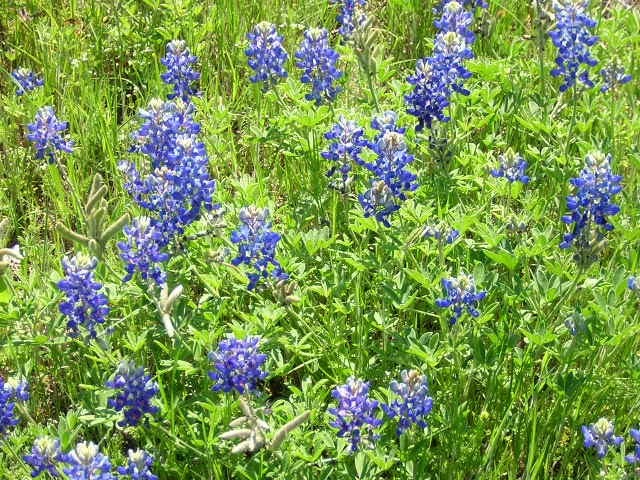 It's just a bit early for bluebonnets to pop up most places, but fortunately I took some photos in the past that help me remember what they look like. 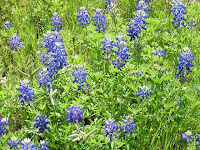 Our state flower will be showing up soon, followed by folks who stop their cars at the roadside to take pictures of their children and family members in the midst of the bluebonnets. (It's supposed to be illegal to trample the flower, but I've never seen anyone arrested for it). My golfing partner and I are trying to remember which end of the club to hold after a long winter's lay-off. I won't be participating in March Madness (can't get interested in basketball), it will be a while before football season rolls around (and I hope the NFL players decide by then to play what they're getting paid for), but I always get a little thrill when I read the magic phrase, "Pitchers and catchers report." If spring training has started, I move my short sleeve shirts into the front of the closet, because warm weather is just around the corner. When a writer decides on a central theme for his/her book, it can be developed in 25,000 or 125,000 words. In either case, the author has to develop the characters and theme, answer the question posed by the book, and all the other things that go into writing an unforgettable novel. How does he/she decide on the length of the book? Glad you asked. The length of a book may be dictated by a contract if the author's work is being published by a traditional publisher. My contracts always specified a length, a time for completion, and many other things. As an indie author, all that is up to me. I have to make a decision, and some of it is based on whether the reading public prefers a novella or a novel. A novella is shorter, costs less, can be read in fewer sittings. A novel is longer, costs more, and will require more reading time. What I have decided, in my short period as an indie- or hybrid writer is to alternate novels with novellas. I may (and probably will) change this as I see which my readers prefer. And that's where you come in. So how about you? Once into a book, would you like it to go on for an extended time? Or do you prefer shorter novellas, those that can be read in a day or two? Let me know in the comments. I'd really like to know. Tweet with a single click. "Do you like a longer or shorter novels? Why?" I still remember standing with my former department chairman and his wife as he and I swapped stories. Of course, no one could ever top Bill. It reminded me of the old Texas saying: "First liar hasn't got a chance." Finally, his wife nudged him and said, "Bill, it's not a contest." She turned and walked away. Before he joined her, I heard him say in a quiet voice, "No, but if it were, I'd win." I've thought of that several times recently. 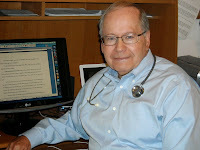 I was probably at the top of my game when I retired from medicine after 26 years in solo private practice and 10 years as a professor at a prestigious medical center. I'd lectured all over the world, edited or written eight textbooks, had over 100 papers published in professional journals, and--if I do say so myself--was a pretty good in my field of rhinology and allergy. But then I got to start over as a retiree who decided to try his hand at non-medical writing. It was years before I got my first fiction contract. There were times when no one seemed to want to buy, publish, or read what I wrote. And although I eventually won some awards for my writing, the valleys were always interspersed with the highs. Had there been low spots in my other profession? If so, time had erased them, but they didn't erase the ones I was now encountering in my "second profession." I found myself competing again, and I was second echelon. Recently I recalled the words of my former department chairman's wife. "It's not a competition." I realized that I shouldn't be jealous of what others do. As in golf, we compete in life against ourselves, not others. Ideally, we should applaud the successes of our friends and acquaintances, because we're not in competition with them. Hard to do, but I'm going to try. How about you? 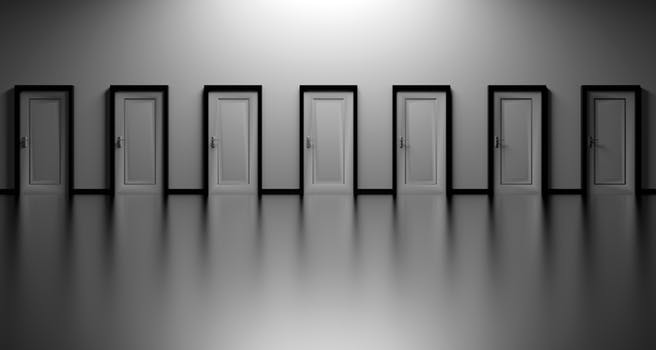 One of the things about being an "indie" author (i.e., not having your work released by a traditional publisher) is that you no longer can lean on the expertise of others about which path to take and which actions to choose in order to further your writing career. This must be the way an NFL cornerback feels when facing an All-Pro receiver, especially in one-on-one coverage. So far as marketing is concerned, I've done fairly well continuing what I've always done. But analyzing trends and directions for the future... I'm like those wizards many years ago who tried to predict the future by animal entrails. Thus far, I've done fairly well, but there's always uncertainty around the next corner. In a writing loop of which I'm a member, I found this site, and was amazed that it's open--without cost--to any of us. I thought I'd share with you some of the material I've learned recently. -Sales at brick and mortar stores are slowly shrinking, while Amazon's share goes up. A bit less than half of print book sales are now made via Amazon. -Audio books represent a small but steadily increasing market. Leaving out textbooks and children's books, 70% of online purchases of adult fiction & nonfiction are ebooks & audiobooks. And the share for ebooks is increasing. The "sweet spots," incidentally, for sales of ebooks are 99 cents and $2.99 to $4.99. -Does release timing for a new book matter? Less and less for print work, and virtually not at all for ebooks. There's a lot more to glean from this report, but it represents just one of the resources authors can use to make their decisions. Does it help? Who knows. But, as the saying goes about chicken soup, "It couldn't hurt." Tweet with a single click. "Are ebooks increasing in popularity?" NOTE: Curious about my early days as a writer, what books I studied, how things went on my road to writing? Check out First Lessons in Kindle format on Amazon. For those of you who are members of the International Thriller Writers, you may already have seen this. Others might not, and I thought you'd be interested in this interview with me that appeared in The Big Thrill magazine. Oh, and can you catch the one typo that appears in it? By the way, it's not my error. See you tomorrow with an interesting post about the writing life.